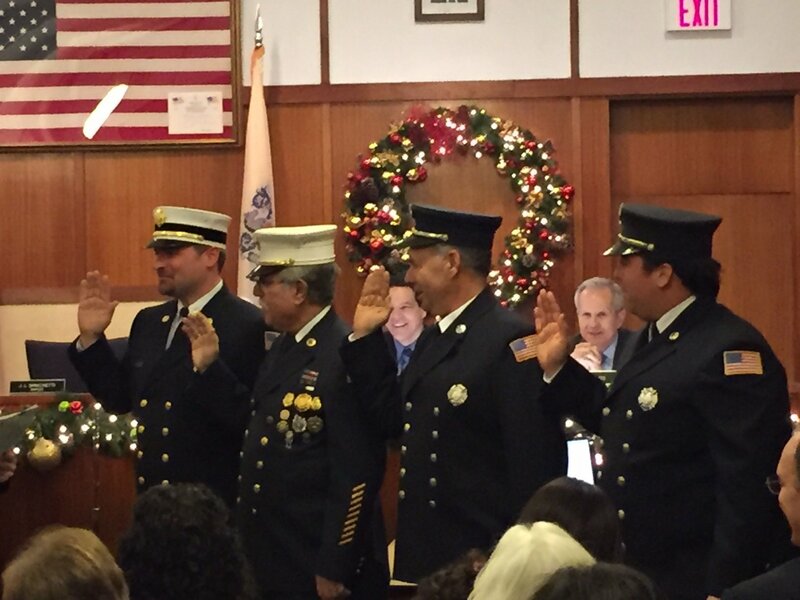 Last night at the Mayor and Council Meeting the 2016 Fire Officers were sworn in by the Mayor. 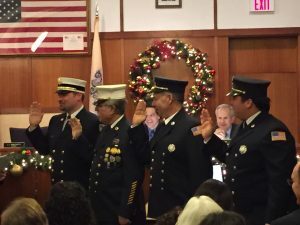 Pictured from left to right are Chief Erik Vierheilig, Asst. Chief Larry Rauch, Capt. Craig Sklar and Lt. Brandon Bach.